Ping. This information could be very important. Interesting catch! Too many questions about this matter, it won’t be long before HolyO will HAVE to answer questions, and not in a mocking manner!! This story is spreading like wildfire, and going viral, that’s for sure! It would be helpful if someone would post side-by-side images of the DeCosta COLB and the Obama COLB to illustrate what is being claimed here. Was discussed quite a bit last year. Good to bring it back up again. Axelrod is on a flop sweat now. The most important pattern that should be observed and remembered is that no congress critter is willing to stand up and deliver to shine some light on this matter. A question about DeCosta. The line “date accepted by state registrar”. The date is 1930. That is 29 years before Hawaii attained statehood. There would have been a territorial registar, but not a state registrar. Or does the computer program that produces these COLBs not differentiate pre and post statehood dates? Just asking and am open to explanations. First COLB has an entry that states: ‘DATE ACCEPTED BY REGISTRAR’. This discrepancy, along with the other missing records, make it appear that Obama is definitely hiding something that he doesn’t want the American people to find out. Obama is losing the faith of the American People and the foreign governments as well because of his deception on his origins. He will always be suspect until he levels with the people. He sounds and acts like a habitual liar. Here is the long-form birth certificate of one of the Nordyke twins. 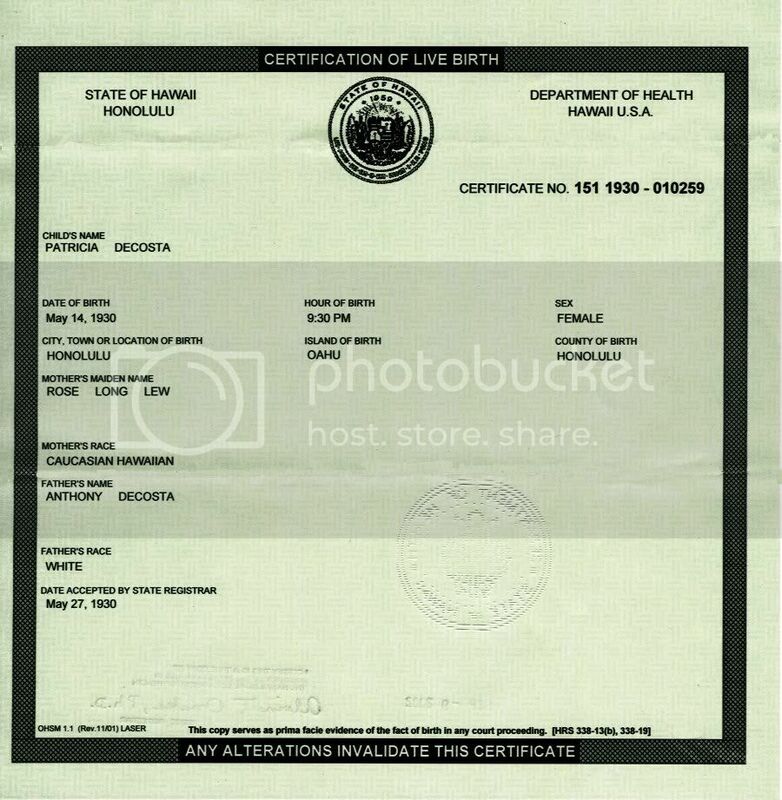 The Nordyke example is important, because if Obama was born around the same date in the same hospital (Kapiolani), Obama's long-form birth certificate should look just like the Nordyke certificate. Looking at the fields on the Nordyke birth certificate, both fields 20 and 22 refer to "accepted." The Nordyke-style basis for birth registration seems consistent with the Decosta short-form birth certificate, in that the operative word is "accepted." 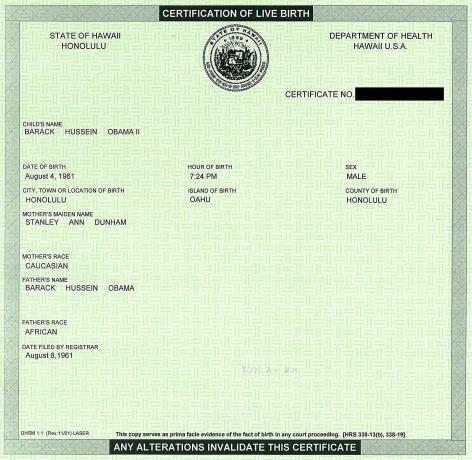 The different word "filed" in Obama's may be indicative that a document other than a hospital-generated certificate of live birth was the basis of the birth registration, such as an affidavit of birth filed by a family member. What would be useful would be to see what a short-form COLB based on the Nordyke original birth certificate would look like - would it use "accepted" or "filed?" Not enough information to reach any conclusion on this. A question about DeCosta. The line date accepted by state registrar. The date is 1930. That is 29 years before Hawaii attained statehood. There would have been a territorial registar, but not a state registrar. Or does the computer program that produces these COLBs not differentiate pre and post statehood dates? Just asking and am open to explanations. Very good question. NOT a state in 1930. What is going on?